Brazil is “outraged” by the execution of Marco Archer Cardoso Moreira in Indonesia for drug trafficking. 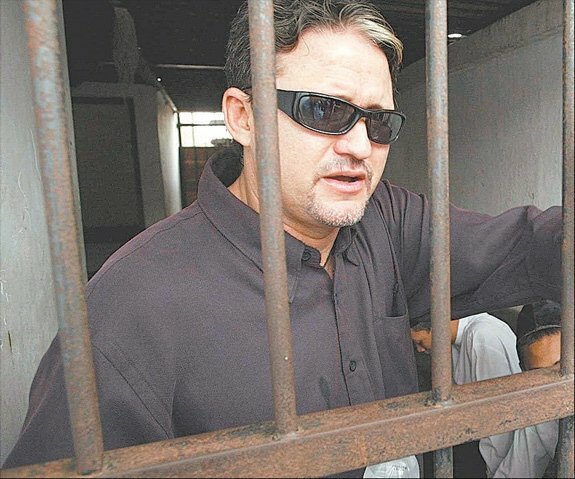 Marco Archer Cardoso Moreira, 53, was arrested in 2003 after police at Jakarta airport found 13.4 kg of cocaine hidden in his hang glider. Brazil says Marco Archer Cardoso Moreira was the first Brazilian national to be executed abroad and has warned it will damage relations. Five other convicts from Indonesia, Malawi, Nigeria, Vietnam and the Netherlands, were executed on January 18. Convicted of drugs charges, they faced a firing squad in Central Java province shortly after midnight local time. Five were executed on the island of Nusa Kambangan and the other one, a Vietnamese woman, was executed in the small central Javanese town of Boyolali. Brazilian President Dilma Rousseff said in a statement that she was “outraged and dismayed”. “Relations between the two countries have been affected,” she said. “The Brazilian ambassador to Jakarta has been recalled for consultations,” the president added. The Netherlands has also recalled its ambassador, after Foreign Minister Bert Koenders called the execution of Dutch citizen Ang Kiem Soe, 52, “an unacceptable denial of human dignity and integrity”. Indonesia has some of the world’s toughest drug laws. The country resumed executions in 2013 after an unofficial four-year moratorium. Indonesia’s Attorney General Muhammad Prasetyo said “hopefully, this will have a deterrent effect”. President Joko Widodo has said that he will show no mercy towards drug criminals because they have ruined the lives of so many. Dilma Rousseff had made a plea for clemency on January 16, but it was rejected by Joko Widodo. She told her Indonesian counterpart that she respected the sovereignty and judicial system of his country but as a mother and head of state she was making the appeal for humanitarian reasons. Brazil says Joko Widodo said he understood the Brazilian president’s concern but said he could not commute the sentence as the full legal process had been followed. Human rights group Amnesty International urged the Indonesian government to halt executions immediately, and eventually abolish the death penalty. Marco Archer Cardoso Moreira said in a video recorded by a friend that he regretted trying to smuggle cocaine into Indonesia. A second Brazilian national, Rodrigo Muxfeldt Gularte, remains on death row in Indonesia, also convicted with drug trafficking offences. Brazil abolished the death penalty in times of peace when it became a republic in 1889.